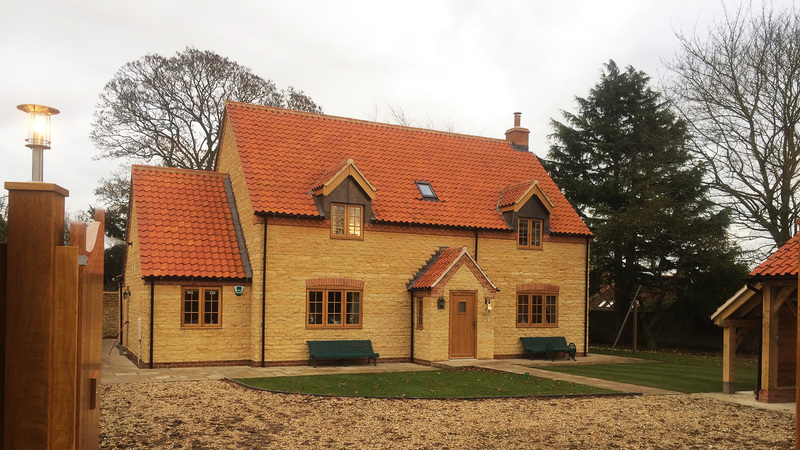 The construction of a bespoke 4 bedroom private dwelling, located within the conservation area of Caythorpe village, was completed just prior to Christmas 2016. Externally, the property boasts timeless golden facing stonework and handmade pan tiles together with oiled natural oak windows and external doors. 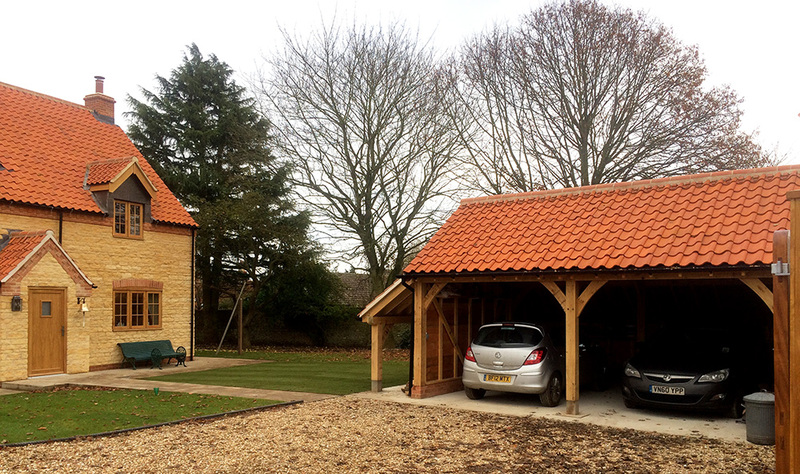 As well as generous patio areas accessed via tri-folding doors from either kitchen or lounge, an oak framed timber clad double garage and log store are also nestled within the grounds. Inside, a classical oak staircase, manufactured by ourselves, rises to the first floor, and the oak theme is continued for internal doors, skirtings and window boards. Under floor heating has been installed throughout the ground floor, and a multi-fuel stove sitting within a feature fireplace adds a little more charm. Our clients have reported a very warm, happy home has been created, with a distinct lack of draughts when compared to their previous residence. Caythorpe is a large village and civil parish in the South Kesteven district of Lincolnshire. The village is situated on the A607, approximately 3 miles (5 km) south of Leadenham and 8 miles (13 km) north of Grantham. Caythorpe Heath stretches east of the village to Ermine Street and Byards Leap. The village benefits from two public houses; The Red Lion and The Waggon and Horses. 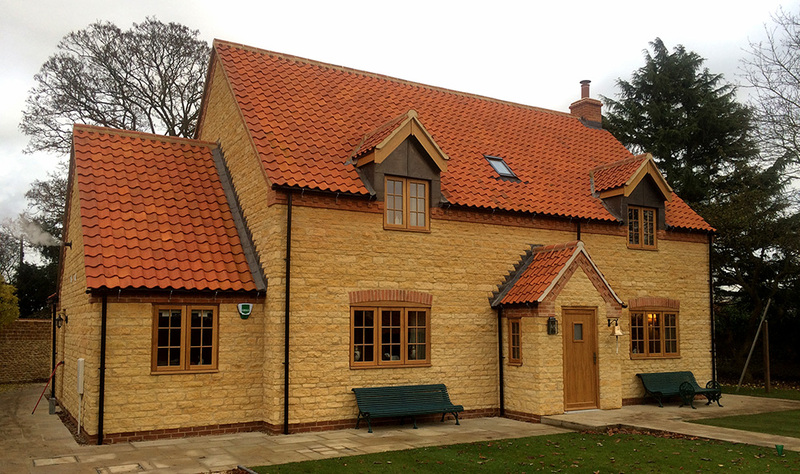 Built between 1824 and 1827, Grade II listed Caythorpe Hall lies on the northern edge of the village. The park wall is all that remains of the earlier house, the seat of the Hussey family. The village is also home to the Grade I listed Anglican parish church is dedicated to St Vincent.